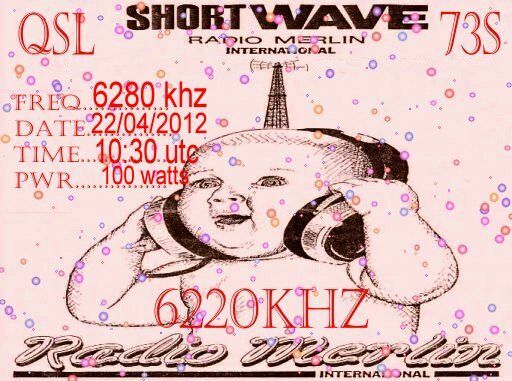 6210-8,50 Radio Devalon With Hie Free Radio Program. Airing Recordings Of Stations Logged From December 2011 To March 2012 Including Radio Mustang, Radio Baroness, LHH, Orion Radio And Skyline Radio International. Good Signal, with some Fading Sinpo 44434. Interesting Program. 6245-9.10 Unid Playing Julie Covington"don't cry for me Argentina". Strong Signal Sinpo 54444. Off Before Song Had Finished. 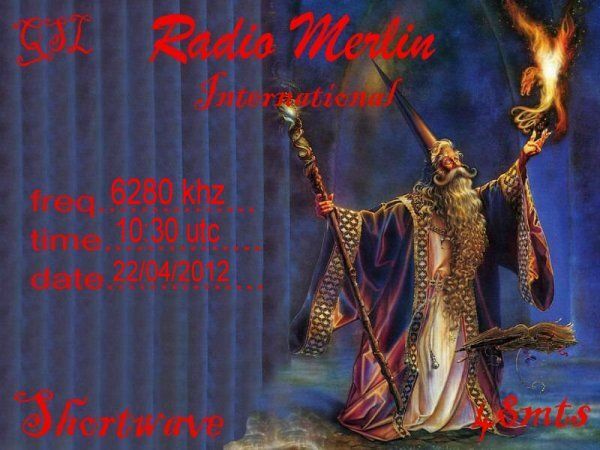 6325-13.45 Radio Merlin International Playing Peter, Bjorn And John"young folks". Fair Signal, with some fading Sinpo 43323. 6395-21.02 Delta Radio WB Playing Demis Roussos. Fair To Good Signal Sinpo 44433. Closed Down A Few Minutes Later. 6301-17.10 Radio Flying Dutchman Id Jingle. Also Polka And Dutch Music. Fair To Good Signal Sinpo 44433. 6305-17.20 Magic Am Playing Marillin And Sting/The Police. Good Signal Sinpo 43444. I've update the QSL Gallery on this website .... new QSLs from Mustang, Countdown, Onda Caliente and FSM. 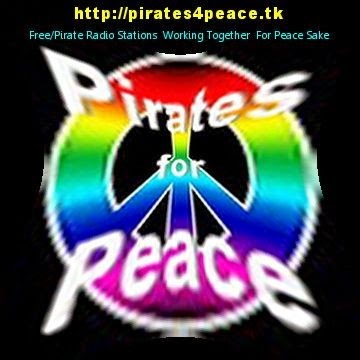 Wizard Radio's brand new MW Pirate Review for April 2012 is now available to download here. Het is tijd voor de meest recente MW piraten terugblik. Klik hier om editie nummer 9 te downloaden. 6295-19.07 Radio Witte Reus Playing 10cc"I'm not in love". Good Signal Sinpo 43444. Closed Down A Few Minutes Later. 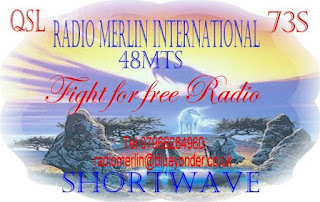 6385-16.15 Radio Monte Carlo Playing Tina Turner. Weak To Fair Signal Sinpo 33323.Closed Down Not Long After. 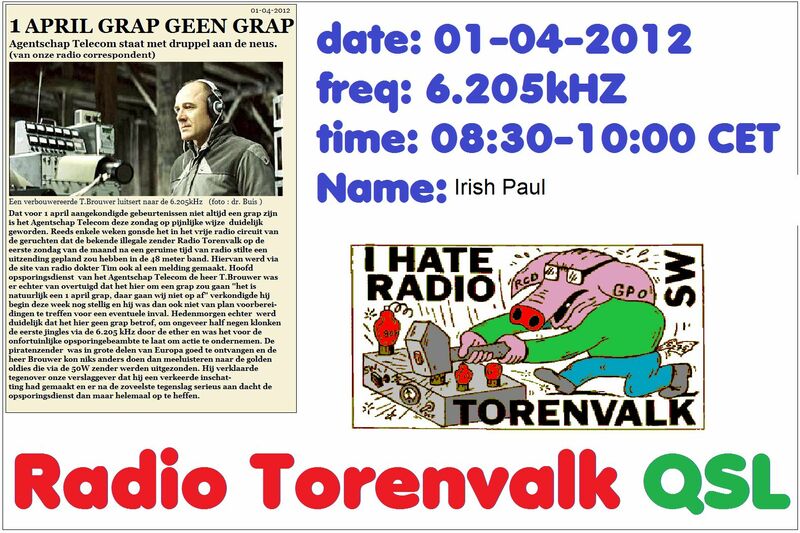 We use Radio 700's transmitters in Kall-Krekel, Germany (with 1000 Watts). frequencies normally carry the broadcasts of Radio 700.
to send us again your comments and reception reports. received. Feel free to forward these information to your DXing friends. Let's meet in the 49 and 75 metre-band next Saturday! sorgen wir mit unserem jugendlichen Leichtsinn für Frühlingsgefühle im Ohr. Wenn das kein Anreiz zum Einschalten ist...! 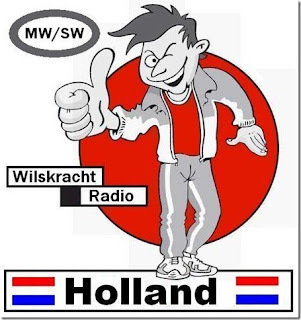 bestätigen wir gerne per postalischer oder elektronischer QSL-Karte. Alle Zuschriften können an nordam @ shortwaveservice.com gerichtet werden. Bis Samstag im 49 und 75 Meterband oder im Internet! möchtest, lass uns das bitte wissen. Radiointeressierte weitergeleitet werden - solange sie nett sind. 6220-7.12 Unid Playing"somebody to love" And Blues Music. Good Signal, but some utility qrm Sinpo 43443. off a few minutes later. have a nice weekend a long one hi! 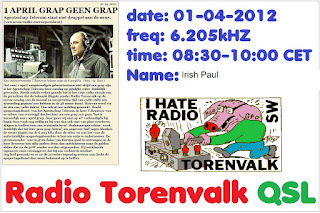 Atlantic 2000 will be on the air again this Easter Sunday, 8th of April, at 10:00 UTC (12:00 CEST) on 9480 kHz , with a repeat of the broadcast of the 1st of April. Our stream will be active at the same time on our website. Atlantic 2000 sera de nouveau sur les ondes ce Dimanche de Pâques, le 8 Avril, à 10:00 TUC (12:00 à Paris) sur 9480 kHz, avec une rediffusion de l'émission du 1er avril. L'émission sera également audible à la même heure sur notre site Internet. 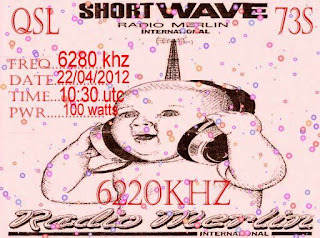 Sonntag, 08.04.12 07.00 UTC 6.255 kHz. via MV Baltic Radio 1KW , “+” - 700 W Relaystation. Jede Sendung läuft 1 Stunde / 1-h-program each. 6200-8.13 Radio Orang Utan(tent) playing Falco"rock me Amadeus". Fair Signal Sinpo 43333. Only heard for a short time before closing down.